POKE FRESH SIGNATURE BOWLS Feeling a little overwhelmed? No worries! We've got you covered. Choose from one of our signature bowls, and let us do all the picking and choosing for you. PERFECT FOR EVERY LIFESTYLE Gluten free? We've got you covered. Looking for a vegan poké bowl? You're in the right place. What is Poke？ A kind of exotic food in a row fish salad served as aappetizer in hawaiian cuisine. FRESHE CLASSIC. salmon and ahi tuna mixed with sweet onion, green onions, edamame and cucumber in house shoyu all topped with fresh pineapple, seaweed salad, and onion crisp. The poke here is fresh and healthy, with a selection of refreshing desserts to satisfy your cravings. Quality and speedy service! They’re very generous with their portions and it is perfect for all ages and diets. 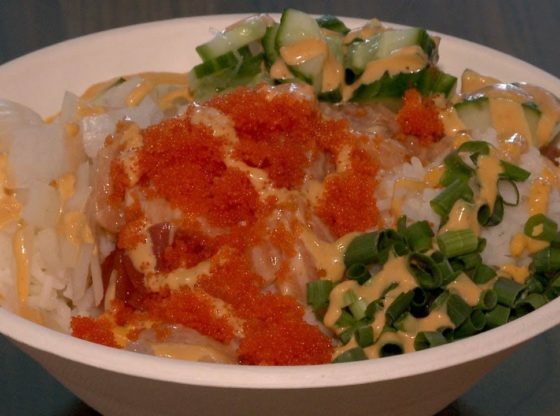 The concept for Poké Fresh was created by Chris Bachuwa, co-founder, who had the opportunity to travel and experience this classic Hawaiian dish. After sharing his love for poké with his daughter Kylie Bachuwa, co-founder, they decided to take the next step in bringing these meals to their community.